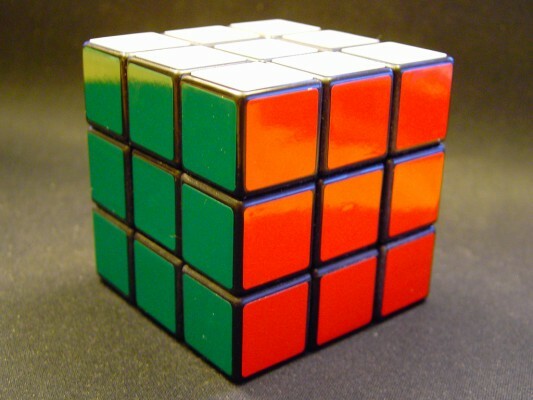 My brother introduced me to the challenge of solving a Rubik's cube when he received one during a "white elephant" gift exchange one Christmas. 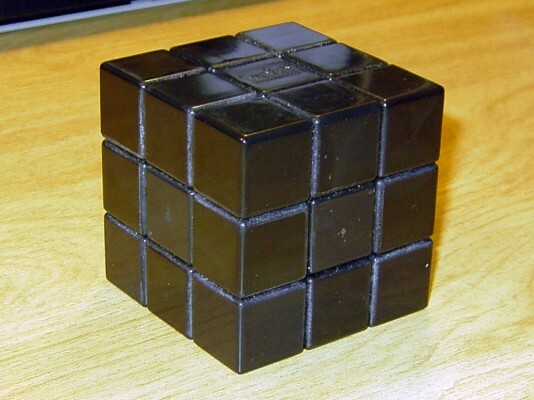 He had been taught by a friend to solve the cube and was able to demonstrate the first two layers to me. I was immediately intrigued and looked up solution methods on the internet. Finding the one I had begun to learn, I learned the method by practicing over and over. 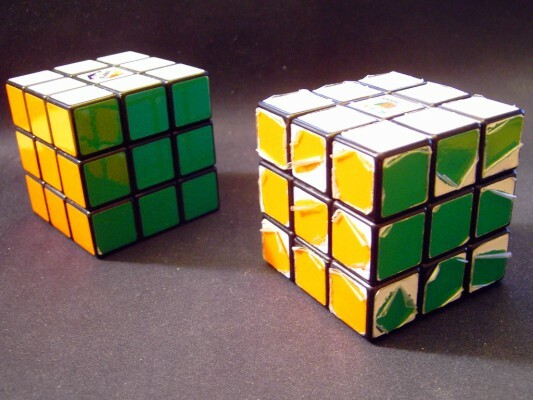 Upon arriving at college, I was introduced to the art of "speedcubing" by lubricating the cube with silicon spray. 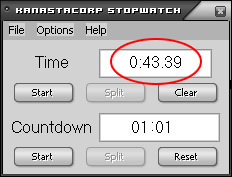 With a smooth cube, my solve time immediately decreased from around 3 minutes to about a minute-and-a-half. Picking up some finger tricks and reworking my moves for maximum speed was all it took to get my times consistently under one minute. Recently, my solves have been in the 50-60 second range. My first cube wore out from excessive use.. so it was time to find a new one. I'm a fan of the $10 cubes available at Walmart, but the stickers peal off quickly and they require adequate lubrication and breaking-in. 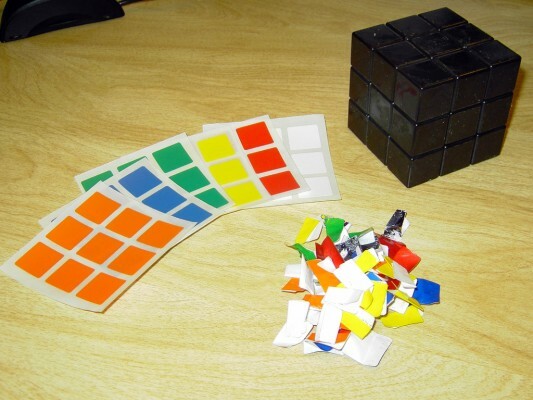 So I ordered nice PVC stickers (from Canada), and after lubricating the cube nicely, I stripped the stickers off, cleaned it well, and applied the new stickers. Now it has a nice clean look and feel, and it's served me well for over a year now! I generally try to avoid getting "really into" something that's not all that beneficial... but it's just neat to show people who think it's cool to see if solved. I've also enjoyed teaching others how to solve it themself! Thanks for the input, Elijah! I was planning to add an RSS feed, so I did that this afternoon and also improved the forms. I love the time line. It shows how all of your projects fit into your life. 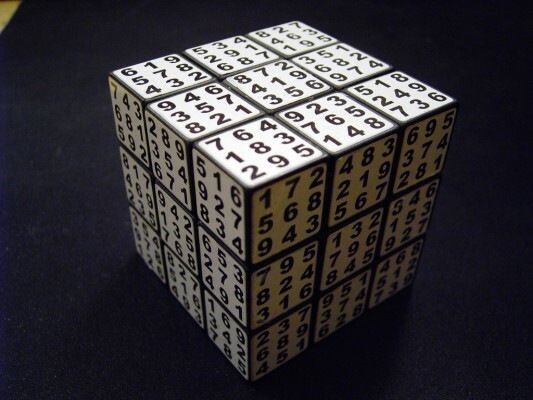 Hi I am so looking to get one of the sudoku cubes but living in the UK I don't seem to be able to. Is there a special name for it as I only seem to get the single numbered ones. Christmas is during which season?